We have collaborated with Chumbaka Sdn Bhd and with matchfunding from Agensi Inovasi Malaysia (AIM) as a co-sponsor of the IOI-Puchong STEM Programme under their National Blue Ocean Strategy (NBOS) initiative. 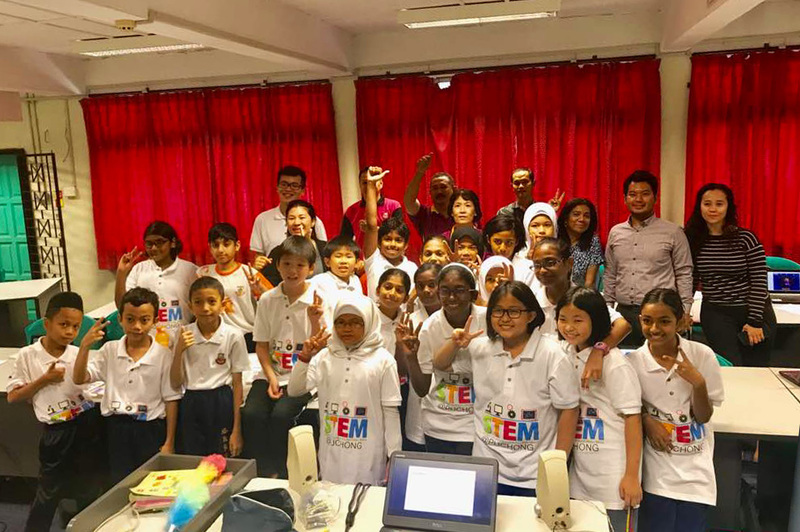 It is an after school programme involving RM 250,000 focused on four specific disciplines, namely Science, Technology, Engineering & Mathematics (STEM). 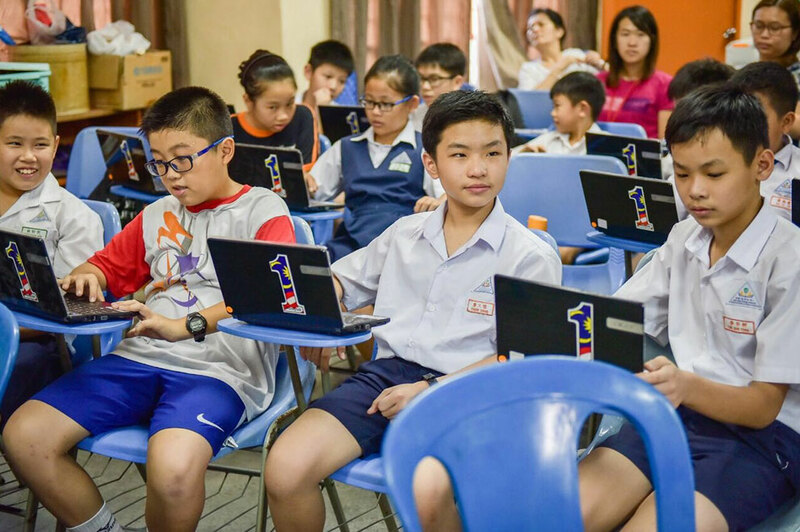 The programme involves 210 students from a total of 10 schools (5 primary and 5 secondary schools) within the Puchong vicinity. The duration of this programme is from February 2017 to November 2017, consisting of weekly 2 hours workshops which run throughout the year, conducted by mentors from Chumbaka. Participants are equipped with digital making skills from Arduino and Scratch involving embedded systems, electronics, coding, prototyping and soft skills including presentation skills and team leadership skills, all relevant for students in the 21st century. These workshops culminate towards the students innovating their own projects to compete in competitions such as Young Innovators Challenge and IOI Group’s very own Maker Faire at IOI Mall Puchong in November 2017. 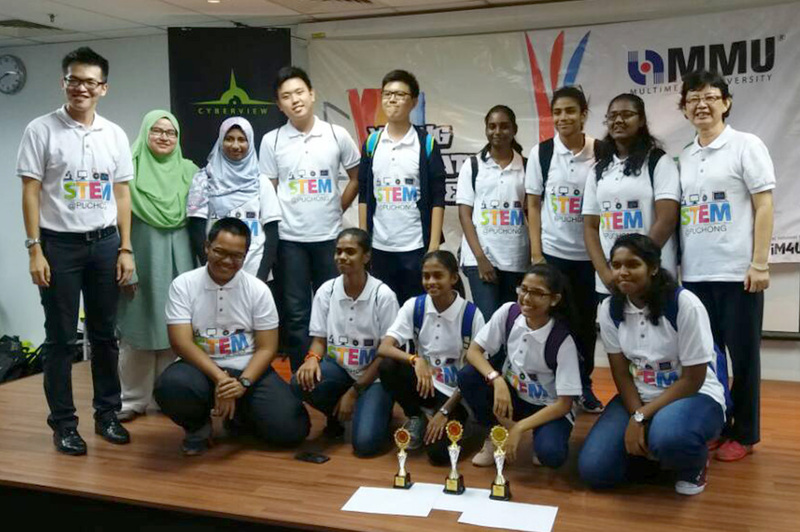 On 8 July 2017, our STEM students from SMK Bdr Kinrara Seksyen 1, SMK Bt 8, Puchong, SMK Puchong Jaya A, SMK Puchong Jaya B and SMK Puchong Utama participated in the Young Innovators Challenge (YIC) organized by Cyberview Sdn Bhd. They managed to take home 4 Gold, 4 Silver and 3 Bronze trophies. Congratulations guys!